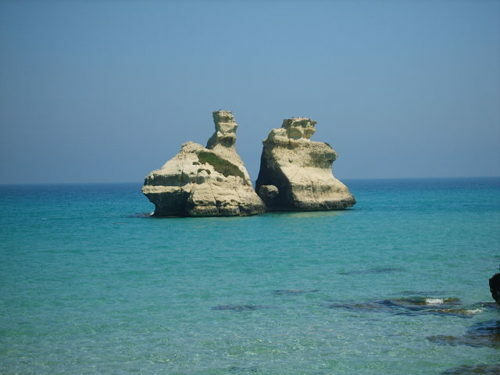 Travelling around the beautiful Puglia, the tourist can have many epiphanies: firstly, the beaches. From a rocky landscape to a smooth Maldive-like sand and natural reserves which include super beaches. Here a portrait of some beaches in the Lecce and Taranto areas, among which we start describing our personal beloved spot, Gallipoli. Punto del Pizzo with its spike marks the starting of the beautiful and spectacular Gulf of Gallipoli, Lecce.Here it is difficult not to lay under the sun among lovely sandy beaches entered through fragrant pine woods which provide a refreshing shade for the international and local crowd. The historic fortress island town of Gallipoli is unmissable if you’re in the area of Lecce and from this point on over 100km of coastline is to discover! A few kilometres up you can find Rivabella, the little Caribbean seashore of the South: sandy beaches and fun in the numerous bar spread on the cost and on the sea-front! Stretchin right up to reach Taranto, interesting and clean low-lying rocky coastline mingled with the usual sandy beach, including the costaline of San Caterina di Nardó. The sandy sea-front of Porto Cesareo is waiting for you, closed by its own promontory and overlooked by the Isola dei Conigli. About 20 kilometres more of untamed beaches between Punto Prosciutto to Acqua Dolce stretches along the south coast below Manduria region, which is also worthy to visit! Following the road and heading north-west, you will reach the port of Taranto and the nearby towns with their own sandy bays. On the other side of Taranto, the coast goes west; following the northern shores of the Gulf of Taranto, after 40km the Stornara Nature Reserve opens up full of sand. A fantastic trip is waiting for all of you, indeed refreshing in the hot summer and equally interesting in spring time. This entry was posted on Wednesday, July 31st, 2013 at 1:41 pm	and is filed under Discover Italy. You can follow any responses to this entry through the RSS 2.0 feed. You can leave a response, or trackback from your own site.